Starfish jewelry featuring these delicate ocean creatures is a meaningful gift for anyone who loves spending time by the sea. 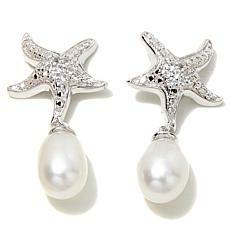 For a dramatic look, choose silver starfish crusted with white topaz and adorned with dangling pearls. 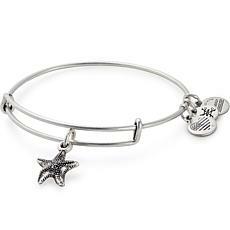 With casual bangles from Alex and Ani, you can create a customized bracelet with a marine life theme. 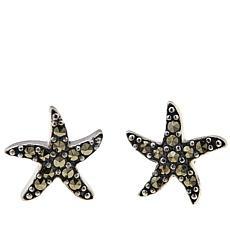 Sterling silver starfish stud earrings with a black marcasite finish add that special touch to any ensemble. 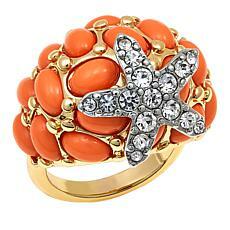 This line also includes a matching double starfish ring. 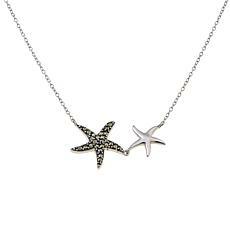 Starfish necklaces evoke an air of breezy freedom that works well throughout the spring and summer. The beaded crystal drop necklace by Heidi Daus features cascading rows of aquamarine and silver beads leading to an aquamarine crusted sterling-silver starfish pendant. For an everyday look, we love the black marcasite sea creatures pendant, which also highlights a mollusk shell and a seahorse. 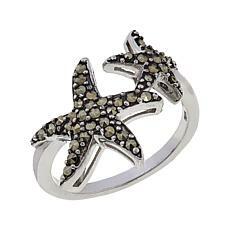 The starfish is traditionally a symbol of regeneration, healing, and the power of intuition. 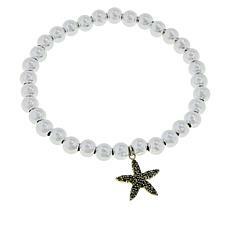 Whether you collect ocean-themed jewelry or you are looking for a piece for a friend or loved one, you can find gorgeous items at affordable prices on HSN. With FlexPay pricing, pay for certain items over time on a schedule that fits your budget.